Here'S another quilt made from the Michele D'Amore fabrics. Love this color Way! I used my mitered piano key border on this one. I love doing piano key borders mitered rather than just butted up against each other. I do the mitered first instead of last, doing all 4 corners first, then filling in the middle of each side with additional piano key strips. If I need to make the strips a bit narrower or wider to fit, you notice it much less in the middle rather than at the corners. My friend quilted this as a practice quilt while learning to use my longarm. 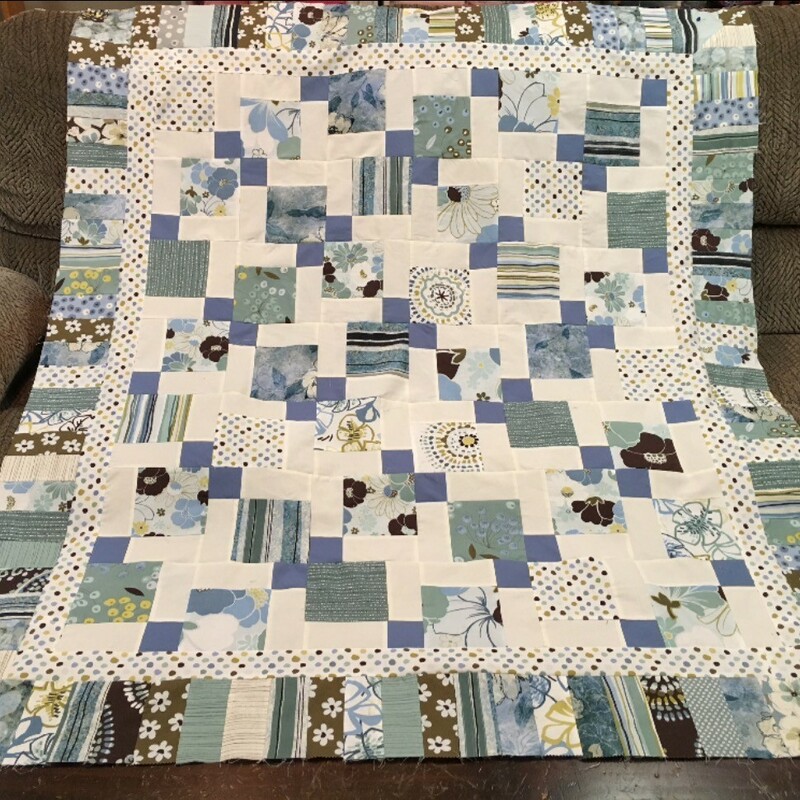 She quilted her beautiful 365 day challenge quilt ( in last picture) on my longarm after just a little bit of practice!